The Wiz. Photo by Phillip Hamer/The Muny Theatre Company, St. Louis, MO. Say you’re opening a restaurant and want an unusual, dramatic interior. Maybe you manage a corporate brand and want an unforgettable, altered reality experience for clients at an industry show. Perhaps you are a band, political campaign or celebrity seeking a dazzling concert design. Or maybe you’re a director for theatre, opera, television, film or video, and need a production designer to put a fresh stamp on a play, music video, narrative film or TV show. In all these cases, your problem would be solved with one call: to Ed Haynes BFA ’86. A theatre design major at USC, Haynes has worked on all the projects mentioned above. The simple truth is, he says, that nearly all theatre designers today work in various creative genres to put together a sustainable career. Haynes likes to make his sets ergonomic and actor-friendly, and he’ll sit on furniture pieces on his sets to test them out. “French Revival furniture is beautiful, but it is really uncomfortable!” he laughs. One of the most valuable courses he took at USC was a course in ergonomic design in the School of Architecture. It was not open to non-architecture majors, but it was in the days of noncomputerized registration, and Haynes enrolled without being detected as an interloper. 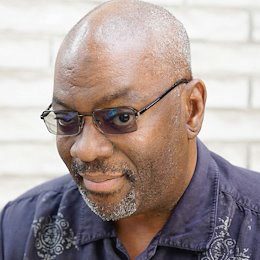 Haynes learned to draft by hand, and did so through graduate school, an MFA in scenic and lighting design at the University of Connecticut, and his first eight years as a designer with Center Theatre Group in Los Angeles. The program, ArchiCAD, allows designers to draw floors, windows and walls as they exist in the real world, rather than imagining something and then trying to make it work in the real world. Haynes has worked with that program for 18 years, and is such an expert that he has taught online courses for the company. He supplements ArchiCAD with a rendering program, Artlantis, for applying textures and lighting to his designs. But his process always begins with sketches made in pencil on yellow pads. The yellow pads are important, as they have a quarter-inch scale grid. After the pencil sketch, comes a black and white sketch on unlined paper, as he works to discover a pleasing structure or a repeating motif. Color is added last, and then Haynes transfers his design to a computer. Fences. Photo By Lone Tree Arts Center, Lone Tree, CO. Some years, Haynes designs as many as 10 theatrical productions outside his home base of Los Angeles. 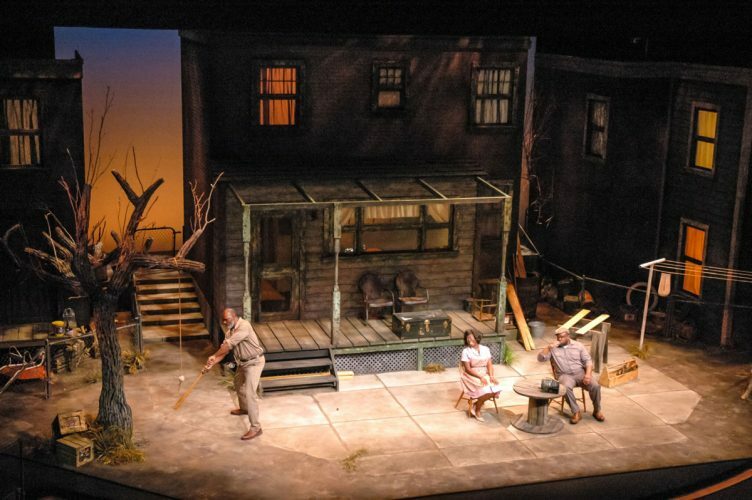 In addition to hours of pre-production research and design time, each out-of-town show requires an early production visit, one to two days overseeing the set building and 10 to 12 days of tech rehearsals and previews. 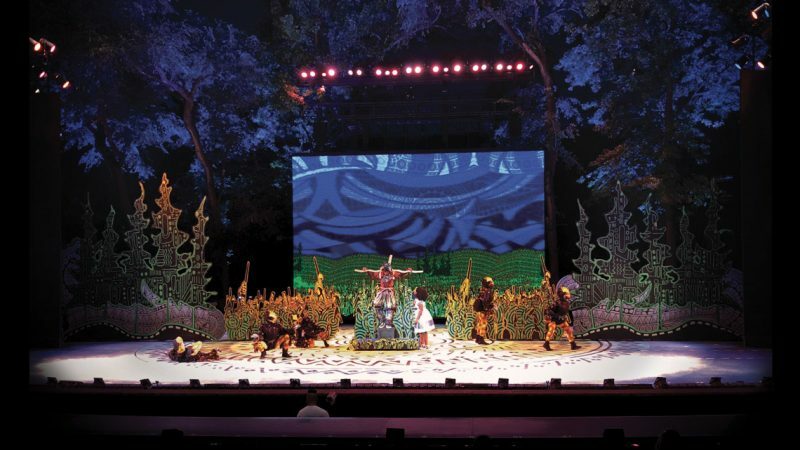 His recent show, The Wiz, at The St. Louis Municipal Opera Theatre somehow compressed all the on-site work into one week to build and paint, and a day and a half for tech rehearsals in an 11,000-seat outdoor theatre with an enormous, 140-foot wide stage. “I was completely and totally floored” when I heard the schedule, Haynes admits. “I called a few friends who had worked there and asked, ‘Is this right?’ ” He learned that, yes, it was right. The Muny puts on seven major productions in eight weeks during the summer. He pulled it off with breathtaking designs. The Wiz was one of his bucket list shows, and he appreciated the rare opportunity to incorporate unlimited amounts of fantasy into his design. The Tempest is also on his bucket list, as is working again with Oskar Eustis at The Public Theatre in New York City. Haynes’ design interest started early. His father was an interior designer, and Haynes grew up in his father’s business “surrounded by carpet samples, paint chips and furniture books.” His sister became an architect, and Haynes notes that until very recently, there was always a drafting table in every place he lived. “It was our dining room table for a long time,” he says. In his own home, which he shares with his wife (a theatre director) and 24-year-old twin sons, he prefers the comfortable, sturdy Craftsman style. “My sister favors midcentury modern style and we argue over it all the time,” he laughs. Story appeared in the 2018-19 Callboard magazine.